It’s been quite a while since I first read The Night Watch – I can’t remember when, I just know that I was hooked. I stormed through it in a couple of days and the rest of the trilogy followed the same way. 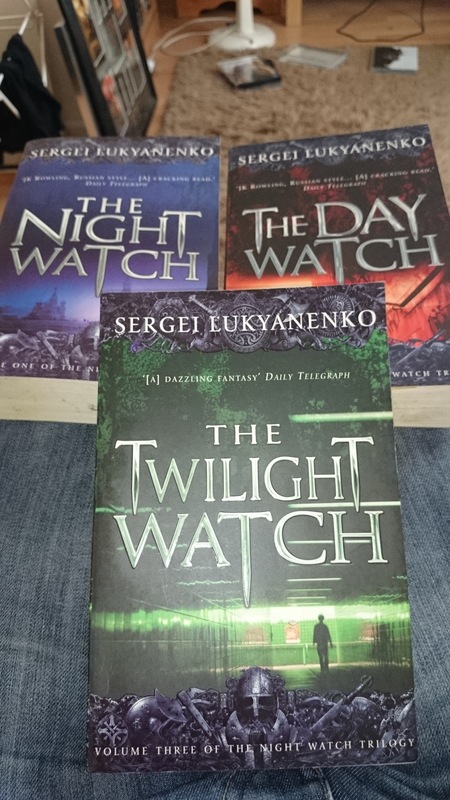 The Day Watch was probably my least favourite (but still fantastic) and The Twilight Watch had me re-reading different sections to try and make sense of what was going on – it happened very quickly! While not always, I’m definitely used to reading a novel in a format I’m expecting. Chapters break it up, with further breaks at appropriate points. It’s one story from start to finish. Fine. Cool. The usual. Not this time. The Night Watch, and every book that follows in this series is split into three parts. They still form a more complete story but there are bigger gaps in these breaks and the narrative of each is more focused. This gives each book more depth without having to drag its feet. In short, think three novella’s rather than one novel. However, they tie in well together. This theme continues in The Day Watch and then The Twilight Watch. There is excellent growth for main and supporting characters, with some appearing and others returning at different times. 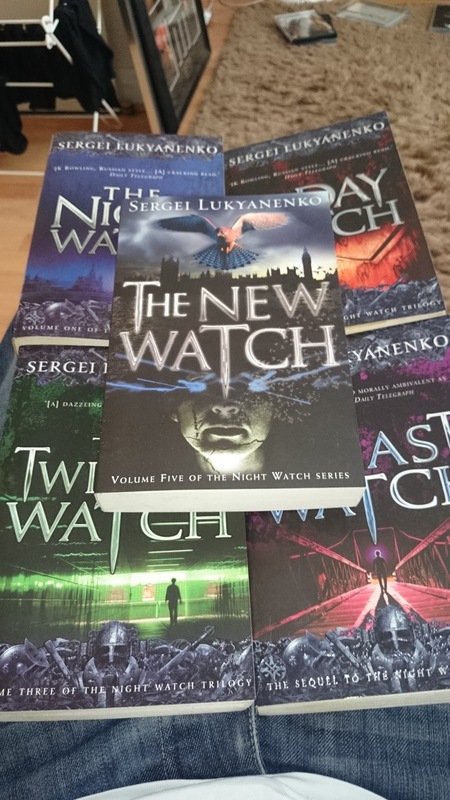 The first story in The Day Watch deviates from the ‘norm’ in that it’s the only one to follow a different character – rather than Anton, our protagonist throughout the other eight stories we follow Alisa. This still ties in well and I won’t say more so I don’t spoil it for you. So, the basic premise: the world consists of humans and Others. These Others can use their powers to cast spells, transform and enter the Twilight, a second world that runs alongside our own. Time slows down and the energy is drained out of anyone who spends time there. Others are split into Light and Dark depending on their emotional state when they first enter the Twilight, as well as determining what they’ll become (a magician, shape shifter, witch, healer and such) and in a lot of ways, this is where the problems begin. Anton is a relatively new Other compared to many other characters you’ll meet along the way. As such, he still believes himself to be mostly human and as a Light Other, he is concerned with protecting human beings as often as he can. The older, stronger and wiser Others have lost this part of themselves. They are stuck in a war, a power struggle and endless games to tip the balance in their favour and they are prepared to use any means necessary to get their way. This includes influencing people’s decisions when they enter the Twilight and even prophecies from years before. We’ll touch more on prophecies later. Anton encounters moral dilemmas in almost every story in the series and it’s how he decides to handle the problems that arise which determine who he is. Will he become an Other like his teacher and head of the Night Watch, Gesar and his rival Zabulon (head of the Day Watch) or keep a hold of his humanity? Maybe there’s a third option – that’s what Anton is looking for but he doesn’t always find it. There are some great characters you’ll meet along the way such as Semyon, Olga, Alisa, Edgar, Arina and more although my favourite is Tiger Cub. One story sees Anton and his Night Watch colleagues visit her home and it sounds like paradise to me! Got a favourite? Are there some problems in the translation? While these books have been translated well, there are instances where I feel it’s been too literal. I’m no expert on the Russian language – in fact, I have no idea about it – but some phrases just don’t read write and at times it reads fine but the message behind it is just a bit off. I don’t think it really impacts the text too much but as a reader it would be nice to have those things fixed. I’m no expert on translations and contracts either (yet – one day, maybe!) but I’d have imagined some creative license could be taken with the author’s consent to solve some issues. You’ll also notice a lot of song lyrics and I do have to wonder how these translations hold up. If you’ve looked into this, I’d love to know what you found.